I (Neely) think belay glasses are a crucial piece of gear for every route climber, whether you’re training inside or climbing outside. I’ve struggled with neck issues for 20 years, and without belay glasses, I would probably not be climbing, much less training for climbing. 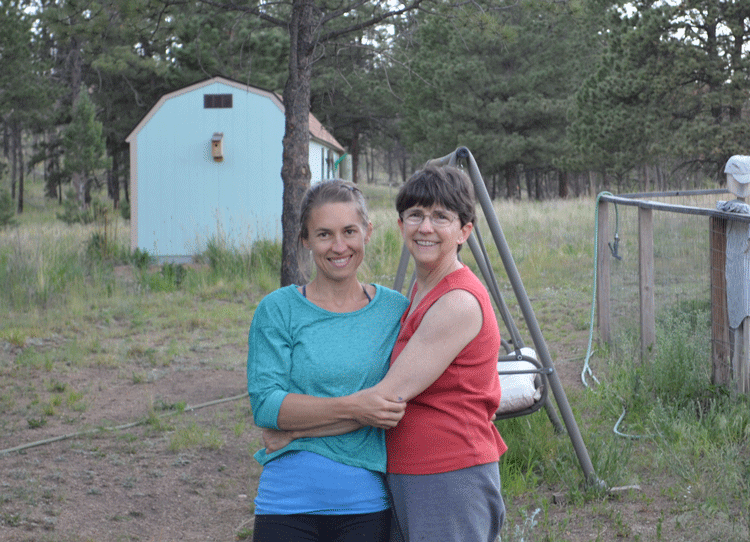 My mother-in-law, Elyn Lytton, wears prescription glasses and struggles with neck issues, and the belay glasses that are out there just weren’t doing the job for her. 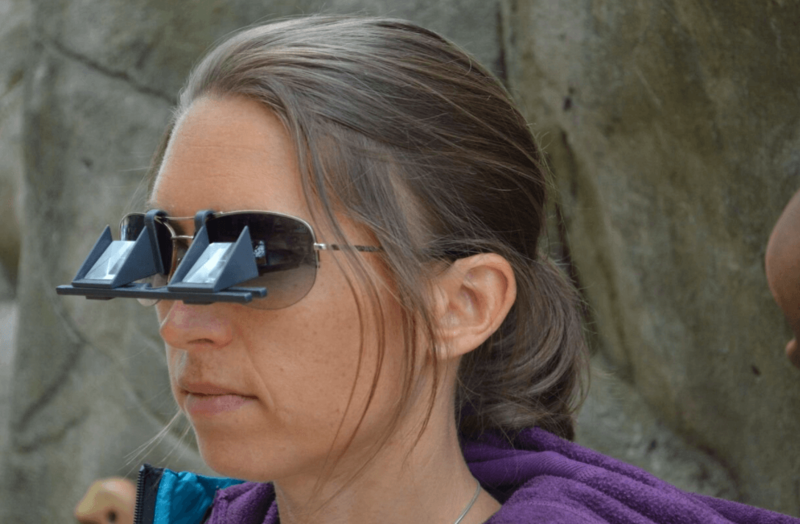 So she went and made her own belay lenses that clip right on to your exising glasses. Despite my bias as her daughter-in-law, I think Elyn’s Belay Optics are an excellent option for people who wear glasses. By the way, Seth’s mom is in her 60’s and she crushes 5.12s in the gym, so NBD. Anyway, it’s taken her years to perfect the glasses and get the manufacturing and all that set up, but her Belay Optics clip-on belay lenses are officially ready to be purchased by climbers who wear prescription glasses or sunglasses. 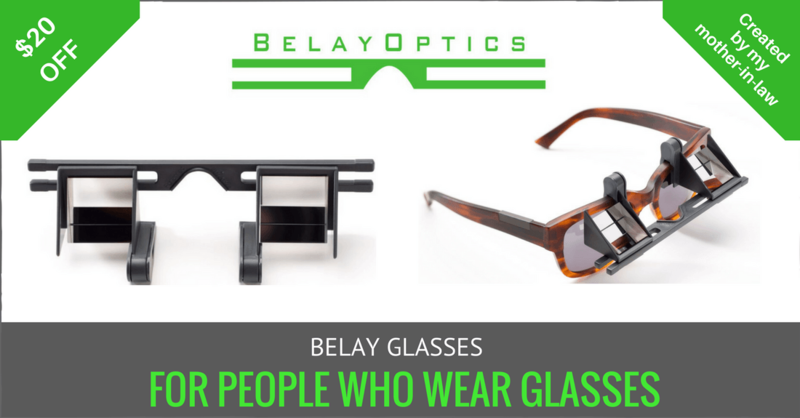 The belay glasses work with prescription glasses and sunglasses of all sizes and shapes. 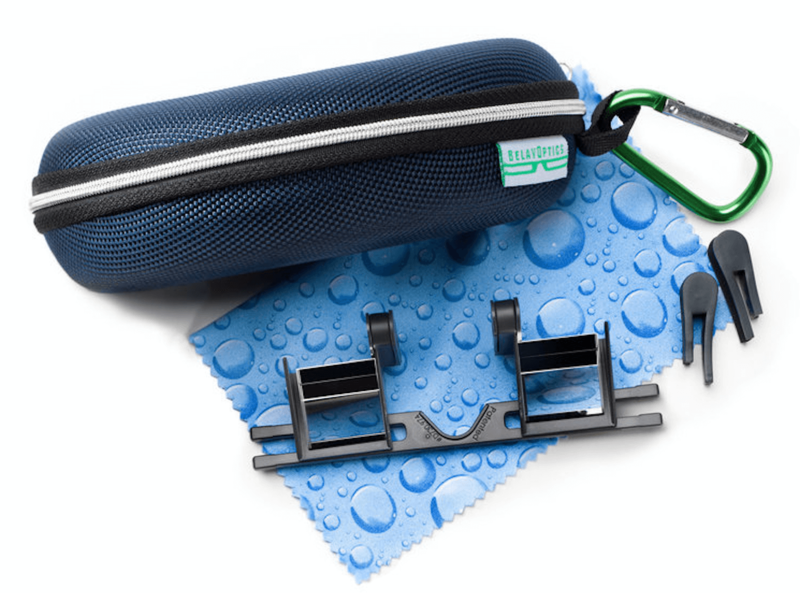 They come with shims that make the height of the lenses shorter or longer to accomodate all heights of glasses. They also move horizontally so you can put them right in front of your eyeballs, unlike most (all?) other belay glasses, which are fixed in one spot. They don’t scratch your glasses – I promise. Those things on the right are the shims that allow you to adjust the height of the lenses. For the entire month of August, 2017 you can get $20 off the regular price of $75 using the code “BETABO” at checkout. A nice man came up to me randomly in the gym the other day and asked me if I’d done modeling for Belay Optics. I said yes, as you can see on her website, and he asked me to let the owner know that he loves the belay glasses. He said that the other belay glasses out there didn’t sit correctly in front of his prescription lenses, but the Belay Optics clip-on ones do, and he’s thrilled. He said they were clear, adjustable, and sit right in front of his eyes. You can see what other climbers are saying about the clip-on belay glasses here. So if you wear glasses while climbing, or you wear sunglasses outside like I do, definitely give these belay glasses a look, and don’t forget the coupon code “BETABO” for $20 off during all of August, 2017. I can’t stress enough how important it is to keep your neck pain-free for climbing, training, and life in general! Belay glasses are a must-have for route climbers in my opinion.